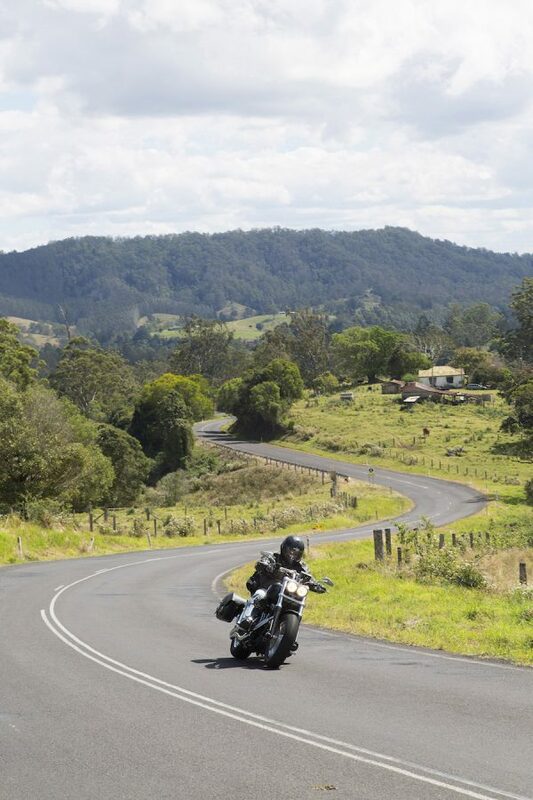 The Northern Rivers region of NSW stretching from Grafton to the Queensland border contains some awesome motorcycling roads and scenery. 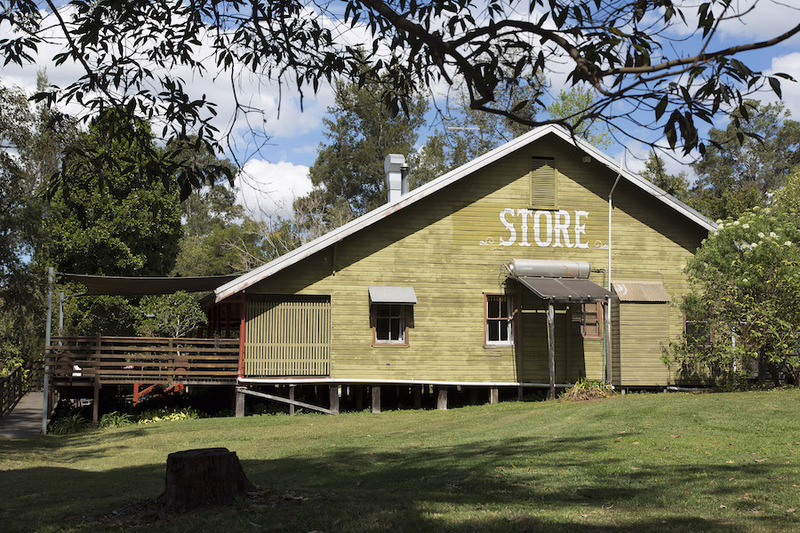 Kyogle is one of the towns that offers good facilities to travellers, as well as marking the start of an excellent riding road that heads northeast towards the Pacific coast. As you head out of Kyogle, the road immediately beckons as a good strip of tar to get your teeth into. 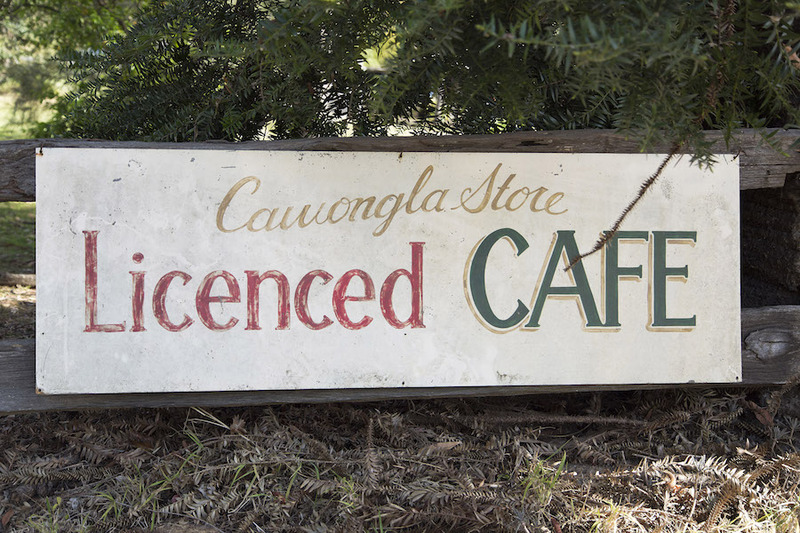 The gentle climb up into the back reaches of the Byron Bay Hinterland offers good views across rolling pastures from the ridges as you cruise past the Cawongla Store and Café. The road surface is generally good, but narrow in sections, and there’s often a steady flow of distracted tourists you need to keep a wary eye out for. 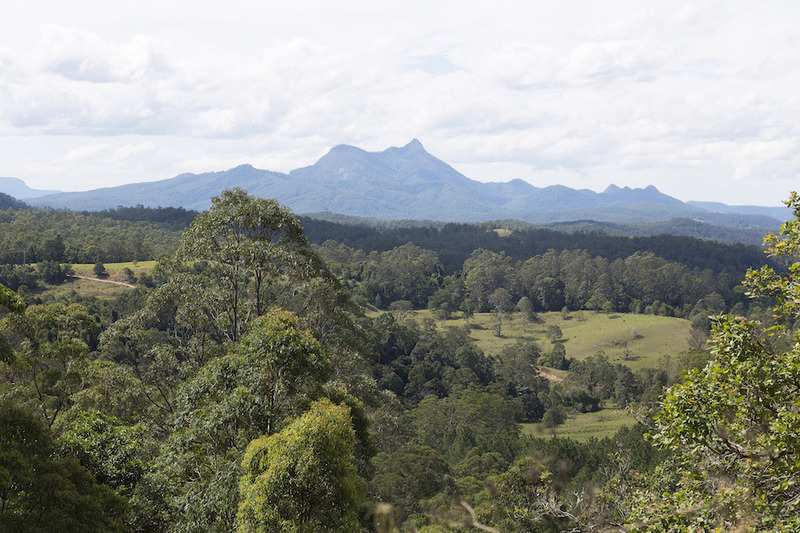 A more dramatic landscape slowly begins to form on your left as you get closer to the Border Ranges National Park with its unique formations, such as Mt Warning. It is worth stopping at the lookout to have a decent look across the valley and to check out the information plaque. The peak is over 1100 metres above sea level and is actually a volcanic plug from the long extinct Tweed Volcano. There is a well-marked walking track you can take to the summit and many people visit the area to do just that. 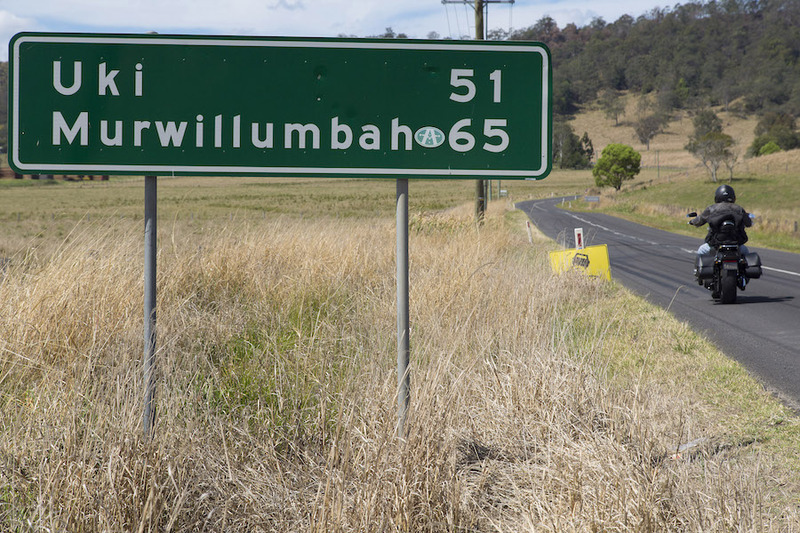 The road turns downhill from here and winds its way into the valley and past the turn-off to Nimbin, notorious for those seeking an alternate lifestyle. The riding is cruisy through here, with several nice sweeping bends and glimpses across to the rainforest areas and plateaus of the national park. 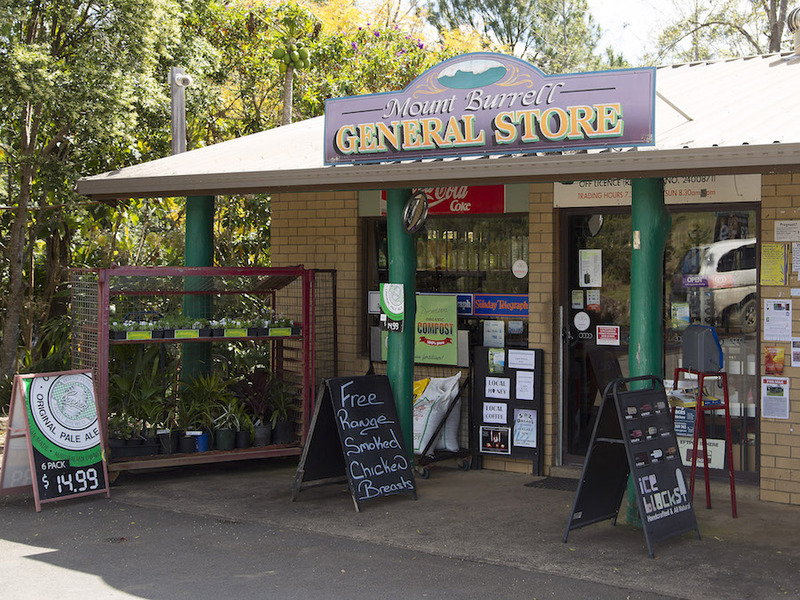 The Kyogle road winds on to Mount Burrell, on the Tweed River, where you can grab a coffee or a beer. We stopped for a break and chatted to a guy selling hand-dyed clothing beside the caravan park before continuing the ride east along the path of the river. The road opens up a bit as you head towards the town of Uki, with an excellent surface making it difficult to keep within the 80km/h limit through the sweeping bends. The road forks at Uki and we kept left to follow the Tweed River into Murwillumbah. There is plenty of food and accommodation available in town so you can put your feet up for a while and look at which road you want to tackle next. This is a ride we really enjoyed, both for the riding and the scenery. It features the typical sub-tropical vegetation and passes views of some spectacular landscape in the adjacent national parks. This border region has a unique look and feel, and offers some brilliant riding options that are well worth adding to any riding trip through the region. There are great little villages and towns throughout this area and several feature interesting weekend craft and produce markets. Uki hosts a market on the third Sunday of every month, and the Nimbin market is on the fourth and fifth Sundays of each month. There are also cool stores and outlets to poke around. The national parks just off this route offer spectacular walking routes and lookouts. There are several accommodation options tucked away in these areas that provide a base for people looking to spend extra time soaking up this world heritage rainforest region. 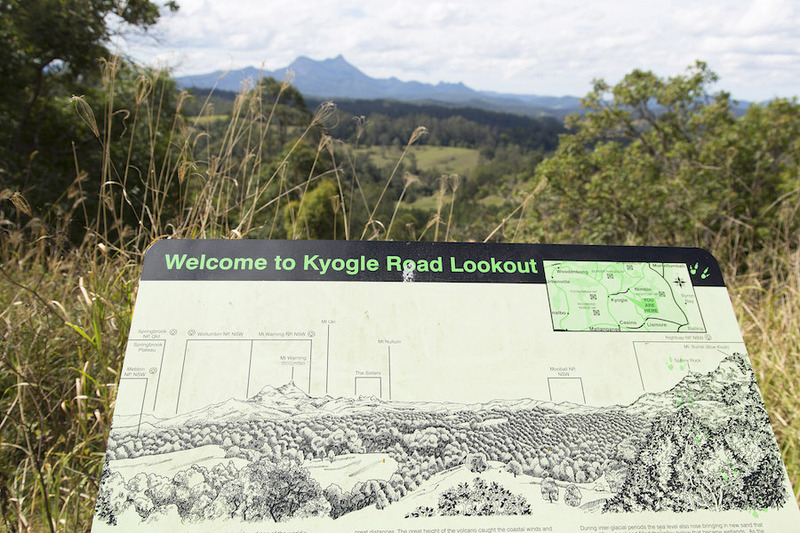 Turn off Kyogle Rd onto Mt Warning Rd just past Uki to get into the heart of the national park. Just past Cawongla is a turn-off on the right to Nimbin on Stoney Chute Rd. This is a nice little winding road that takes you down to the main street of Nimbin, where you will find food and accommodation options. It is worth just dropping in for a look around and a cold drink. 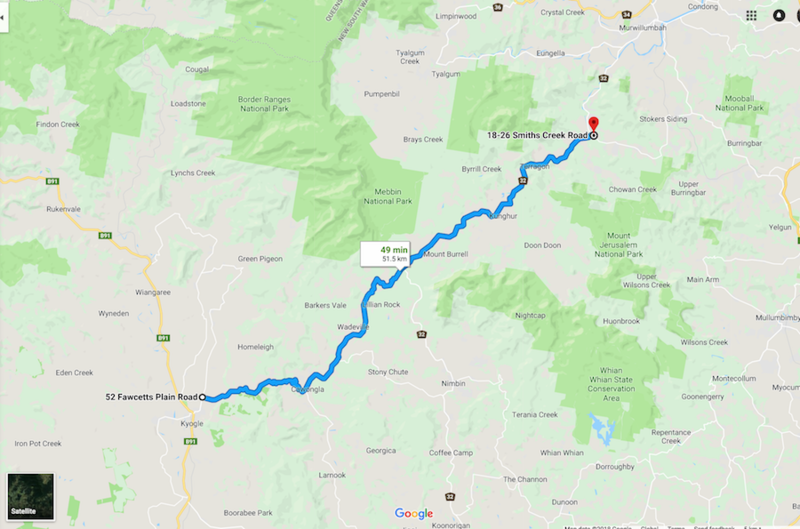 If you continue to follow the main street onto Blue Knob Rd, this will eventually take you straight back up to the Kyogle Road, where you can turn right to rejoin the main route. It is only 65km from Kyogle to Murwillumbah with plenty of fuel options at either end. There is a petrol bowser at Mt Burrell but it only had standard ULP when we were there recently. There is good stop for supplies at Wadeville Woolies. This is a combination grocery store and bottle shop, and also has accommodation options. The Sphinx Rock Café at Mt Burrell has a good all-day menu. (02) 6672 8844. It’s open weekdays and on some Saturday mornings. The Murwillumbah Motor Inn has reasonably priced rooms and views across to Mt Warning. 17 Byangum Rd, Murwillumbah. Ampol 51 Tweed Valley Way, Murwillumbah. 3220 Kyogle Rd, Mt Burrell.